Relax and enjoy a 45 minute narrated cruise around The Thimble Islands. It’s our 40th year! Click here to see how we’re celebrating. First discovered in 1614 by Adrien Block, these islands were used for everything from farming to quarrying granite, from bootlegging to hiding Captain Kidd’s treasure. Captain Kidd sailed here in 1665…you can still feel his presence today. What better way to celebrate 40 years on the water than to have your own beer made? 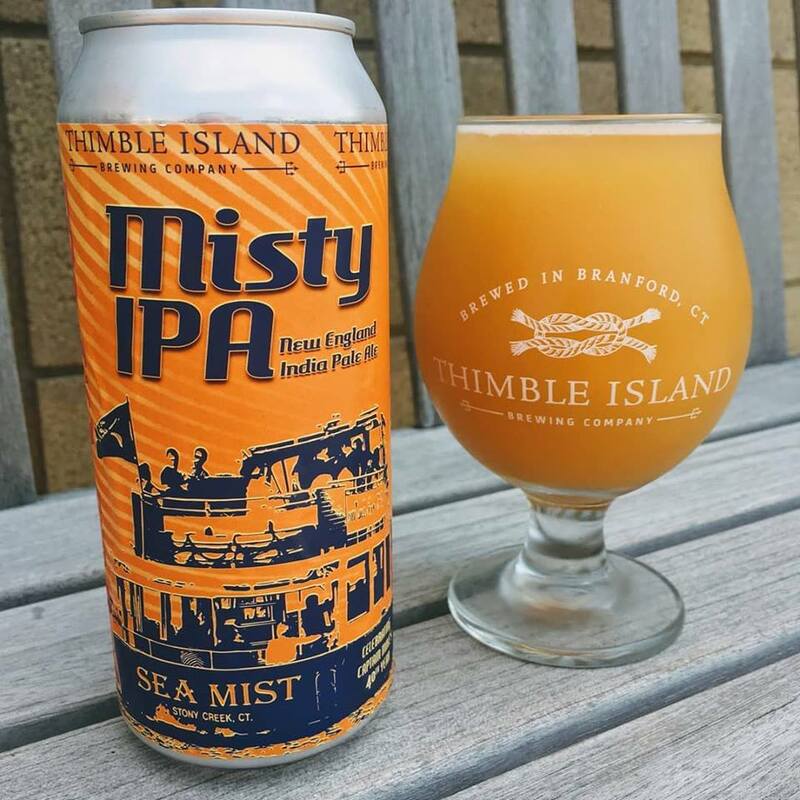 Having an ice cold “Misty IPA” on a Thimble Island Cruise aboard The Sea Mist is a match made in heaven. If you can’t make it onto the boat just pick some up at the Stony Creek Package Store and enjoy it wherever you are. After the sightseeing tours, we transform our vessel into a private charter boat for a party or dinner cruise. You can bring your own food or have it completely catered. We do have a full bar on board for your beverage needs and for a two hour or more charter your beverages are discounted at the bar. We suggest, if you are just going to party or have hors d’oeuvres that you invite 38 or less. For dinner, we suggest 26 to 34 persons. Enjoy a 2 hour or longer cruise as the scenery slowly changes along the coastline of Branford and up the Branford River, the Thimble Islands and coastal Guilford to Sachems Head.